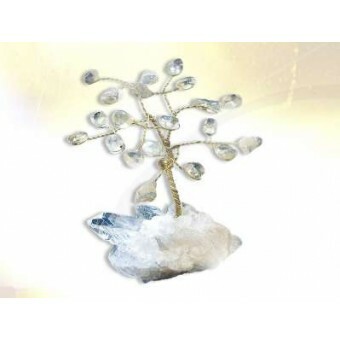 The base is a piece of rock crystal. 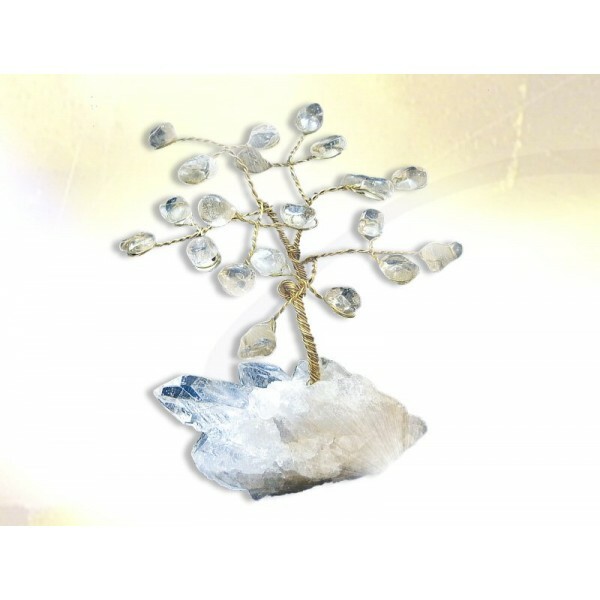 The tree is made of brass wire and tumbled rock crystal gemstones. 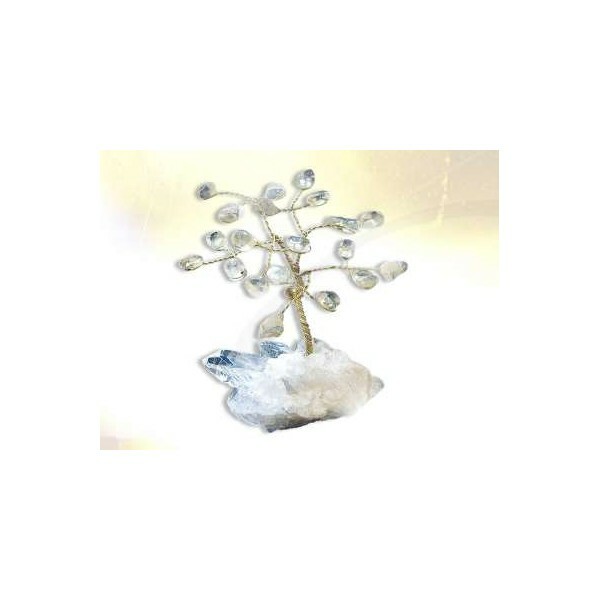 Approximately 9 to 10 cm high.